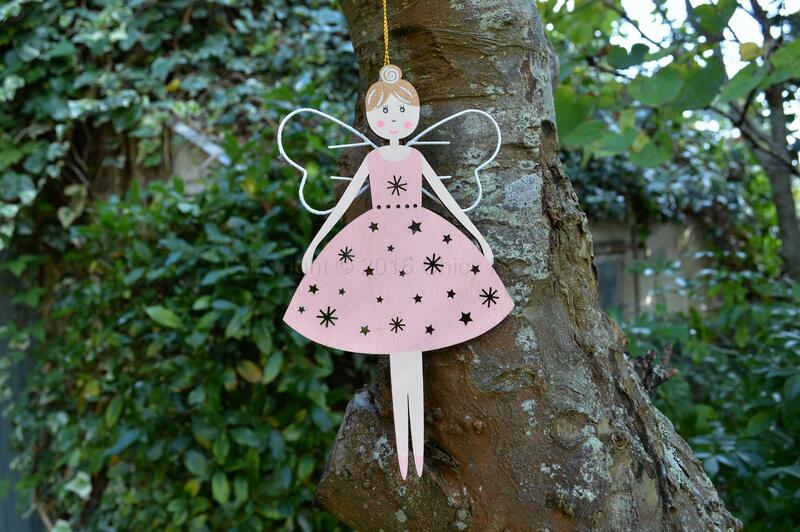 This is a gorgeous hanging fairy decoration with a super cute face, her dress has cut out stars all over. 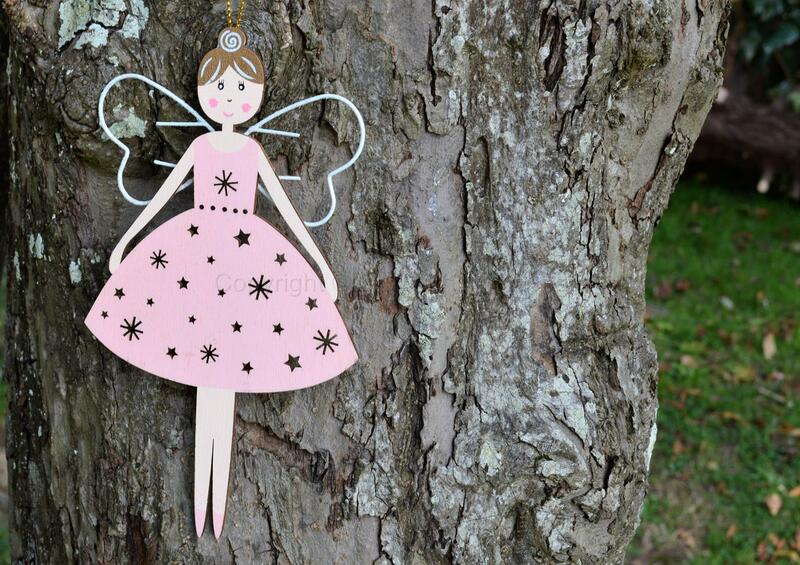 She has white glittery wire wings and a gold thread for hanging, she is made from wood and has been painted. She would look lovely hung up in a child’s bedroom or on your Christmas Tree.